First, be sure that you have submitted your W-9 or W-8 (International Sellers). You will not be able to request a payout until your W-9 or W-8 is received and verified. See how to submit your W-9 or W-8 forms HERE. Next, be sure that you have added your account information so that we can issue the payout. You can access these payment settings by clicking the "Settings" icon to your left in the admin panel. Click the "Payments" tab to see which options are available and click the drop-down for each method to add your account information. Requesting a payout has never been easier! After you have submitted your W-9 or W-8 and added your account information, you'll see the payouts screen has changed. 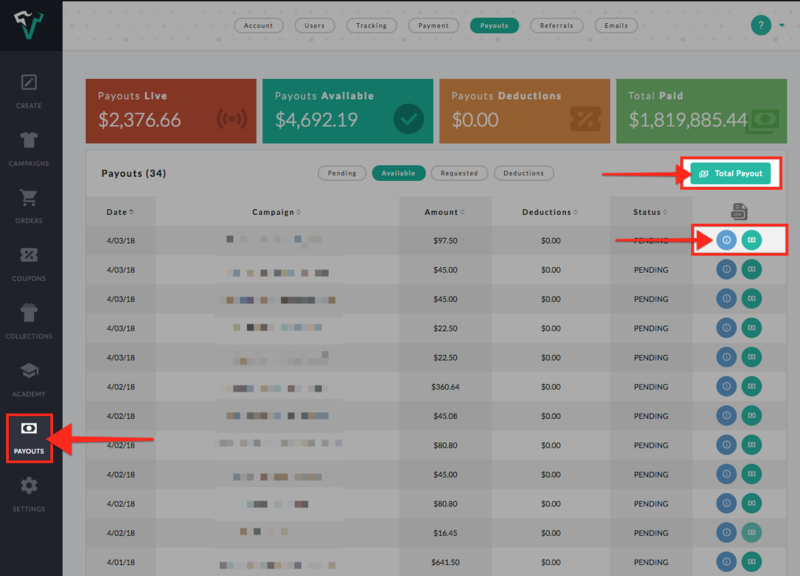 Click the "Payouts" icon to your left in the admin panel. 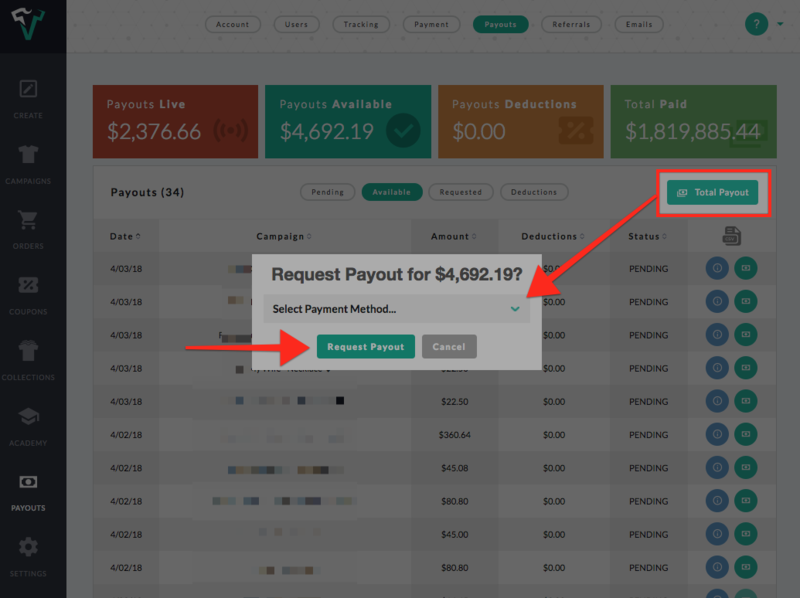 You can request your "Total Payout" or view & request a payout for each individual campaign. After clicking the Total or Individual Payout buttons, a pop-up will appear asking you which method you'd like to use. Click the drop-down to view your options, choose your method & "Request Payout". 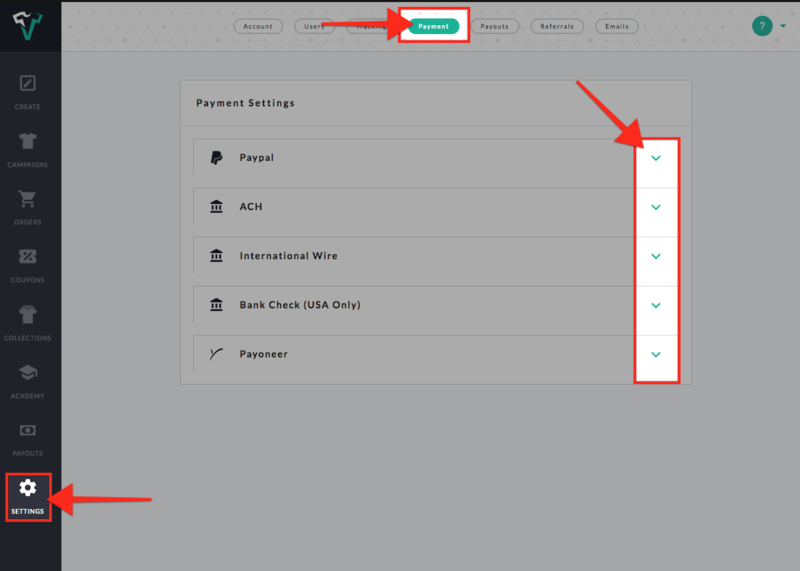 Helpful Hint: You can check the status of Pending, Available & Requested Payouts by clicking the corresponding tabs seen below. Agency Sellers can quickly access their Deductions.